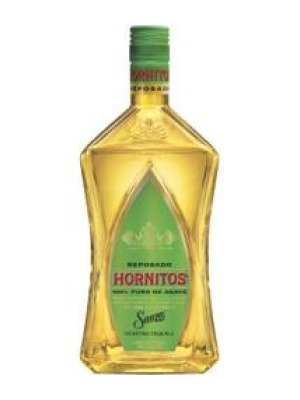 Sauza Hornitos Reposado Tequila is a popular Tequlia available from DrinkSupermarket.com in 70cl to buy online. Visit DrinkSupermarket.com for the best price for 70cl of Sauza Hornitos Reposado Tequila or compare prices on our other Tequlia products. Sauza Hornitos Resposado tequila is made from 100% blue agave and aged in wood for a minimum of one year. Sauza Hornitos Resposado has a golden, flaxen colour, multi-layered aromas of salt, pepper, and licorice, and fruity flavours including apples, pears and peaches, as well as a tinge of black pepper. Where to buy Sauza Hornitos Reposado Tequila ? Sauza Hornitos Reposado Tequila Supermarkets & Stockists. You can buy Sauza Hornitos Reposado Tequila online in most retailers and find it in the Tequlia aisle in supermarkets but we found the best deals online for Sauza Hornitos Reposado Tequila in DrinkSupermarket.com, TheDrinkShop, and others. Compare the current price of Sauza Hornitos Reposado Tequila in 70cl size in the table of offers below. Simply click on the button to order Sauza Hornitos Reposado Tequila online now.